"Man [he says] knows how to use, as a master, his power over [other] animals. He has selected those whose flesh flatters his taste. He has made domestic slaves of them. He has multiplied them more than Nature could have done. He has formed innumerable flocks, and by the cares which he takes in propagating them he seems (1) to have acquired the right of sacrificing them for himself. But he extends that right much beyond his needs. For, independently of those species which he has subjected, and of which he disposes at his will, he makes war also upon wild animals, upon birds, upon fishes. He does not even limit himself to those of the climate he inhabits. He seeks at a distance, even in the remotest seas, new meats, and entire nature seems scarcely to suffice for his intemperance and the inconsistent variety of his appetites. "Man alone consumes and engulfs more flesh than all the other animals together. He is, then, the greatest destroyer, and he is so more by abuse than by necessity. 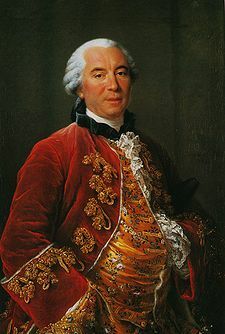 Instead of enjoying with moderation the resources offered him, in place of dispensing them with equity, in place of repairing in proportion as he destroys, of renewing in proportion as he annihilates, the rich man makes all his boast and glory in consuming, all his splendour in destroying, in one day, at his table, more material (plus de biens) than would be necessary for the support of several families. He abuses equally other animals and his own species, the rest of whom live in famine, languish in misery, and work only to satisfy the immoderate appetite and the still more insatiable vanity of this human being who, destroying others by want, destroys himself by excess. "And yet Man might, like other animals, live upon vegetables. Flesh is not a better nourishment than grains or bread. What constitutes true nourishment, what contributes to the nutrition, to the development, to the growth, and to the support of the body, is not that brute matter which, to our eyes, composes the texture of flesh or of vegetables, but it is those organic molecules which both contain; since the ox, in feeding on grass, acquires as much flesh as man or as animals who live upon flesh and blood. . . . The essential source is the same ; it is the same matter, it is the same organic molecules which nourish the Ox, Man, and all the animals. . . . It results from what we have just said that Man, whose stomach and intestines are not of a very great capacity relatively to the volume of his body, could not live simply upon grass. Nevertheless it is proved by facts that he could well live upon bread, vegetables, and the grains of plants, since we know entire nations and classes of men to whom religion forbids to feed upon anything that has life." This little word "seems" here, as in very many other controversies, has a vast importance and needs a double emphasis. Buffon here entirely ignores the true cause of the "inanition" of the poor classes of the community. It is not the want of flesh-meats, but the want of all solid and nutritious meat of any kind, which is to be found amply in the abundant stores supplied by Nature at first hand in the various parts of the vegetable world. Were the poor able to procure, and were they instructed how best to use, the most nourishing of the various farinacea, fruits, and kitchen herbs, supplied by the home and foreign markets, we should hear nothing or little of the scandalous scenes of starvation which are at present of daily occurrence in our midst. The example of the Irish living upon a few potatoes and buttermilk, or of the Scotch peasantry, instanced by Adam Smith, proves how all-sufficient would be a diet judiciously selected from the riches of the vegetable world. For, à fortiori, if the Irish, living thus meagrely, not only support life, but exhibit a physique which in the last century, called forth the admiration of the author of The Wealth of Nations, might not our English poor thrive upon a richer and more substantial vegetable diet which could easily be supplied but for the astounding indifference of the ruling classes?